Pugs are curious little creatures, and this is especially true when they are puppies! Going for a walk can be a journey full of pitstops when every crack in the sidewalk and crunchy leaf is the next best thing to explore. 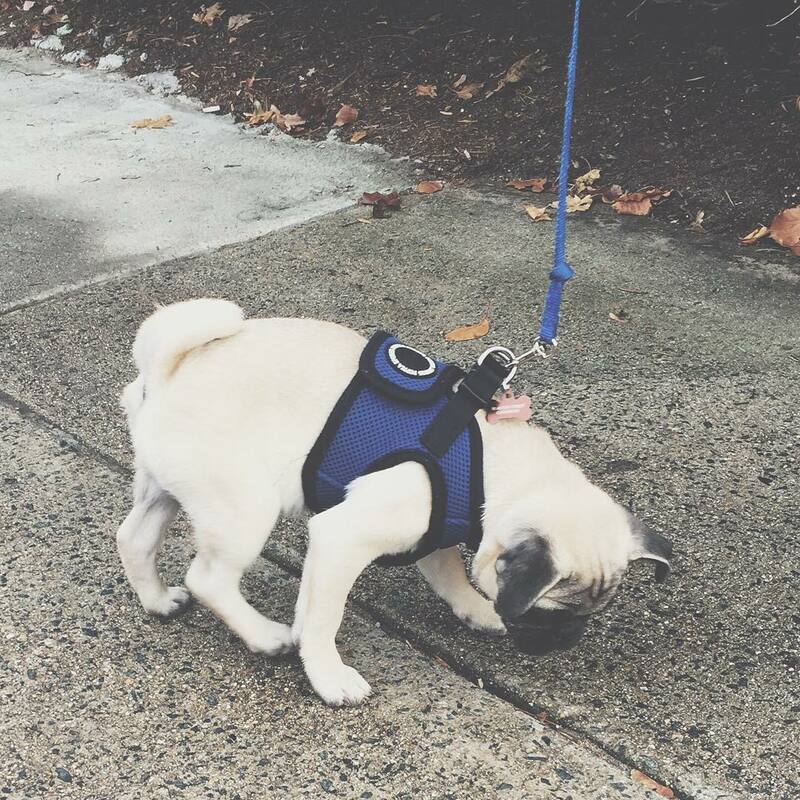 This adorable pug pup is making sure not to miss anything on his great adventure outdoors!